Veterans Day on November 11 is a time to honour those who have bravely served in the military and thank them for their sacrifice and dedication to their country. It’s also the ideal time to acknowledge the employers that consistently hire from the military community and offer programs to support veterans and their families. That’s why each November, Victory Media, the publisher of G.I. 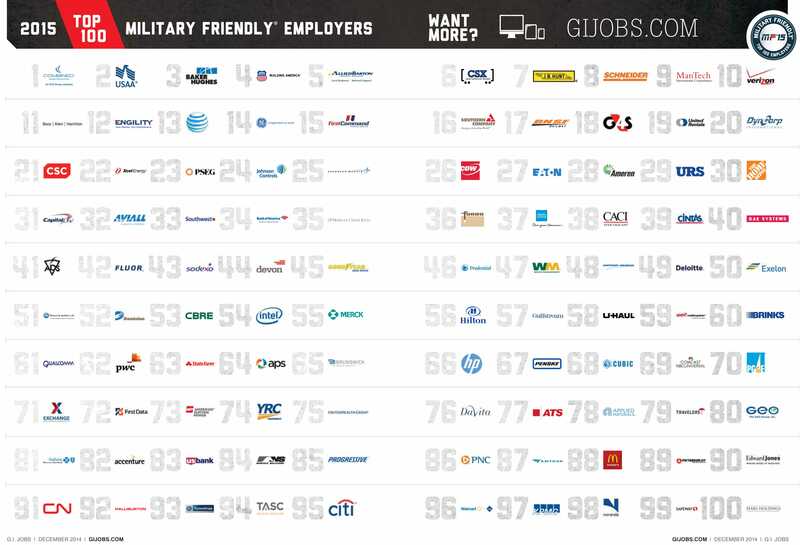 Jobs, releases its annual list of the 100 most Military Friendly Employers. The ranking, now in its twelfth year, is compiled using results from a comprehensive, data-driven survey among approximately 5,000 companies (a minimum of $US500 million in annual revenue was required to be eligible for the list). The survey asked these employers more than 100 questions, which assessed their long-term commitment to recruiting and hiring former military personnel, policies for Reserve/Guard members called to active duty, the presence of special programs, and retention rates. With help from an independent advisory board of industry experts, Victory Media developed the methodology and criteria for the survey, and the results were tested by Ernst & Young. 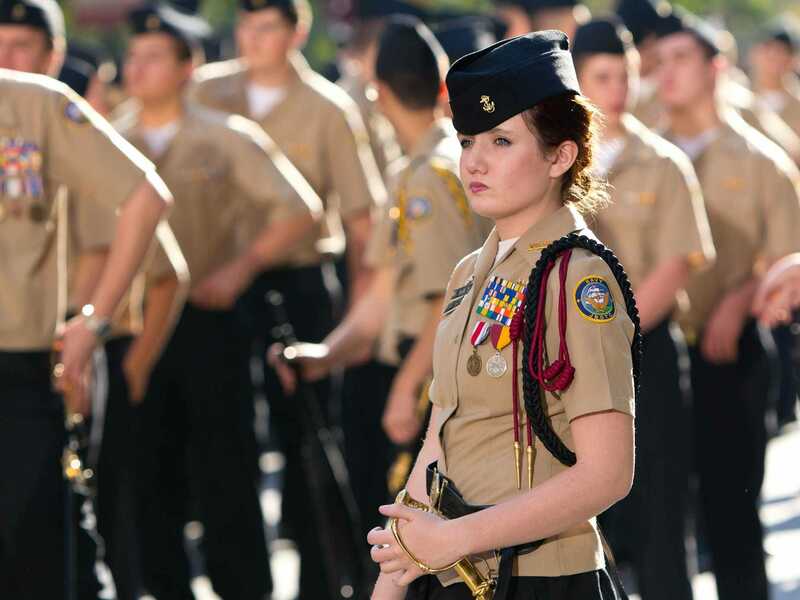 Combined Insurance Company of America, a frequent top performer with more than 40% of its recent hires representing veterans or military spouses, tops the 2015 list of Military Friendly Employers.